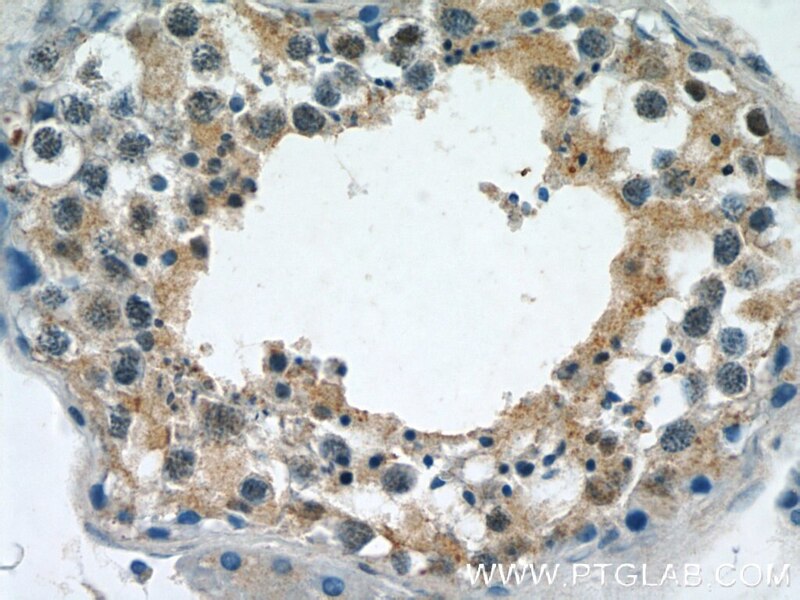 IP Result of anti-DICER1 (IP:20567-1-AP, 5ug; Detection:20567-1-AP 1:300) with Jurkat cells lysate 2000ug. 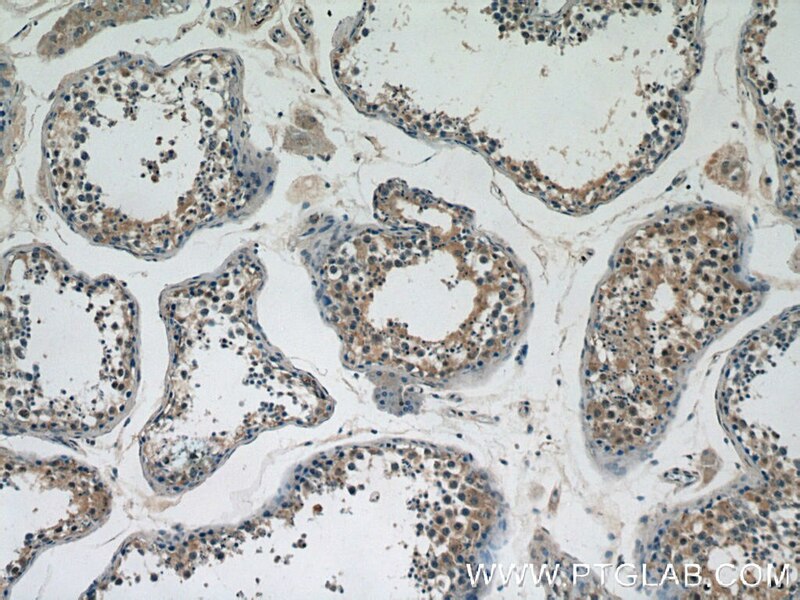 Immunohistochemical analysis of paraffin-embedded human testis tissue slide using 20567-1-AP( DICER1 Antibody) at dilution of 1:200 (under 40x lens). DICER1, also named as DICER, HERNA and KIAA0928, belongs to the helicase family and Dicer subfamily. 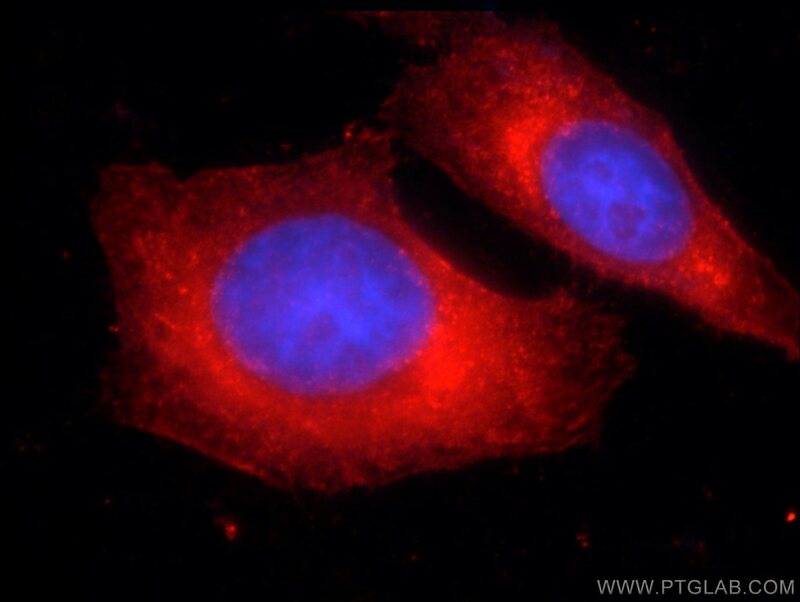 It is required for formation of the RNA induced silencing complex (RISC). 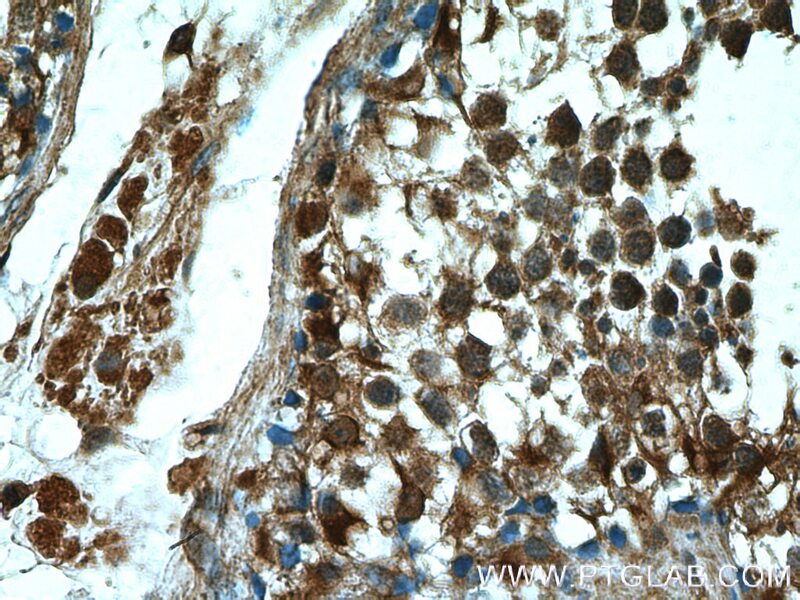 DICER1 is a component of the RISC loading complex (RLC), also known as the micro-RNA (miRNA) loading complex (miRLC), which is composed of DICER1, EIF2C2/AGO2 and TARBP2. Within the RLC/miRLC, DICER1 and TARBP2 are required to process precursor miRNAs (pre-miRNAs) to mature miRNAs and then load them onto EIF2C2/AGO2. EIF2C2/AGO2 bound to the mature miRNA constitutes the minimal RISC and may subsequently dissociate from DICER1 and TARBP2. DICER1 cleaves double-stranded RNA to produce short interfering RNAs (siRNAs) which target the selective destruction of complementary RNAs. 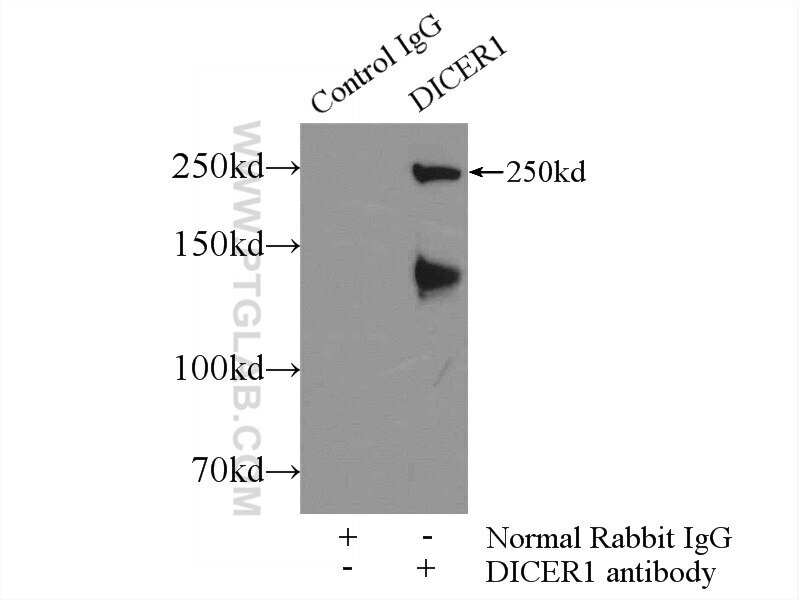 The antibody is specific to DICER1. The calcualted molecular weight of DICER1 is 219 kDa, but modified DICER1 is about 220-250 kDa. 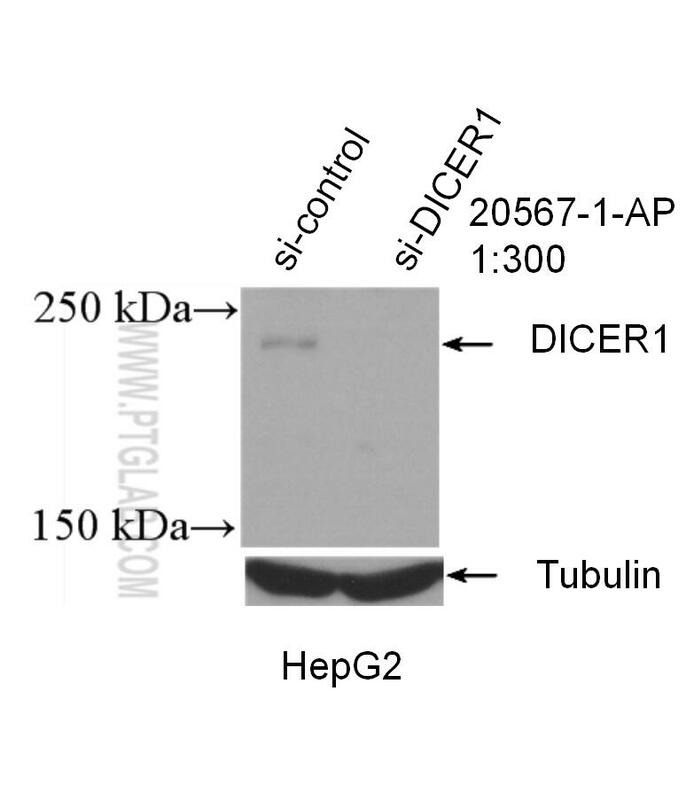 DICER1 exists some isoforms with molecular weight 219 kDa and 93 kDa. Long non-coding RNA GAS5 controls human embryonic stem cell self-renewal by maintaining NODAL signalling. The Fragment HMGA2-sh-3p20 from HMGA2 mRNA 3'UTR Promotes the Growth of Hepatoma Cells by Upregulating HMGA2. Iridoids with Genipin Stem Nucleus Inhibit Lipopolysaccharide-Induced Inflammation and Oxidative Stress by Blocking the NF-κB Pathway in Polycystic Ovary Syndrome. 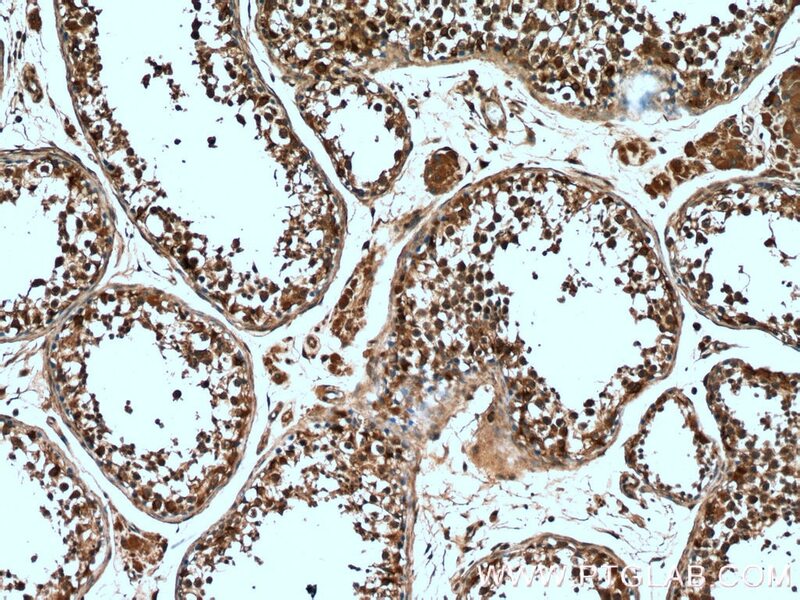 Imbalance of a KLF4-miR-7 auto-regulatory feedback loop promotes prostate cancer cell growth by impairing microRNA processing. 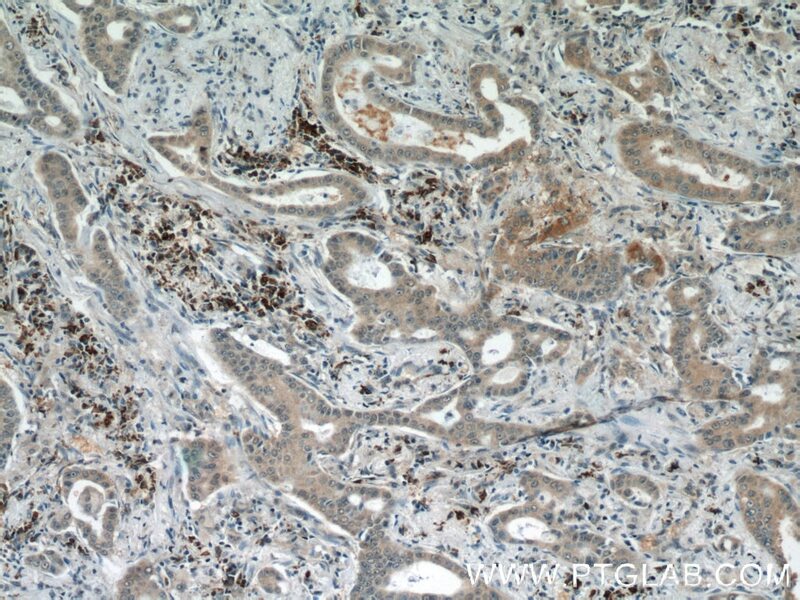 LncRNA UCA1 is necessary for TGF-β-induced epithelial-mesenchymal transition and stemness via acting as a ceRNA for Slug in glioma cells. 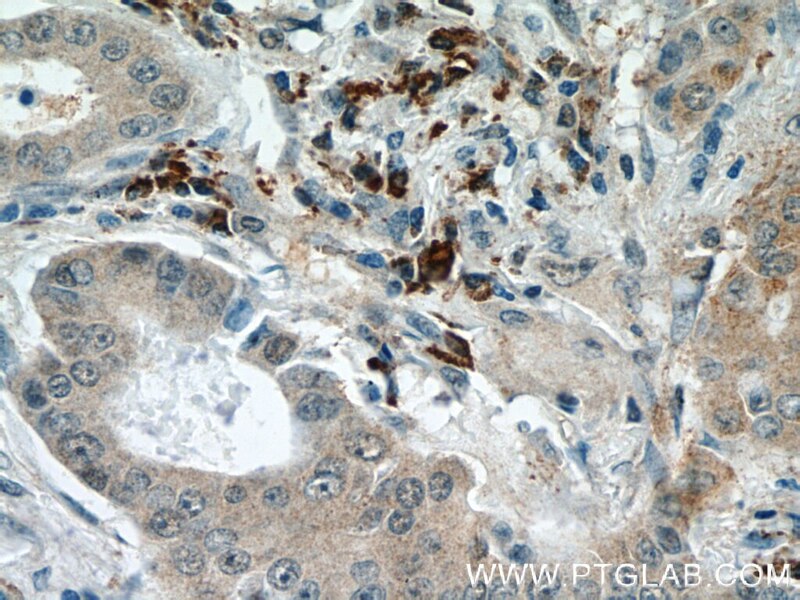 Immunohistochemical analysis of paraffin-embedded human testis tissue slide using 20567-1-AP( DICER1 Antibody) at dilution of 1:200 (under 10x lens).